The Volkswagen IROC concept was first shown to the public at the 2006 Paris Motor Show. The IROC concept marked the revival of one of VW's sportiest models, the Scirocco. The original Volkswagen Scirocco was sold from 1974 to 1992 before being replaced by the Volkswagen Corrado. 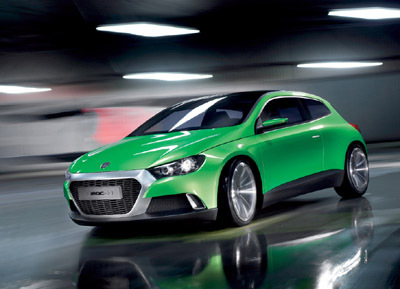 By 2008 VW turned the IROC concept into reality and named it the Scirocco. The IROC name is made up from part of the Scirocco's (ScIROCco) name, and has absolutely nothing to do with the IROC Chevrolet Camaros of the 1980's. 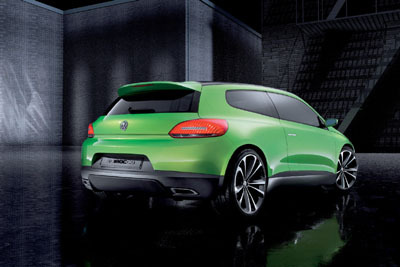 The 2006 Volkswagen IROC concept is a 2+2 hatchback which is slightly longer, wider and lower than the VW Golf. The front of the IROC concept shows some of the same features found on the Volkswagen EcoRacer from 2005, while the rest of the car has chunky styling found on most modern Volkswagens. Power for the VW IROC concept comes from a front-mounted 210 hp TSI engine driving the front wheels.